Here at Body and Sole, Poole I am delighted to be able to offer Facial Reflexology to my clients – founded by Ziggie Bergman a pioneer in modern Facial Reflexology. Ziggie is the 2017 Winner of the Association of Reflexologists Award for Excellence and Innovation in modern Facial Reflexology for creating her ageing well programme Zone Face Lift. To find out more about this amazing technique, click here. As with conventional foot or hand reflexology, facial reflexology is a non-invasive treatment where you will remain fully clothed. Lie back on a comfortable couch and enjoy the feeling of a hot towel cleanse to free the skin of any residual makeup and excess oil, I will then apply the Elixir oil with 100% natural ingredients to hydrate the skin. The reflexology treatment will last approx. 45 minutes using a tailored/unique treatment using feather light touch to stimulate/balance or sedate reflex areas. The proximity of the face to the brain is key to the effectiveness of facial reflexology working on neural pathways to where the effect can be instantaneous. The benefits will also be seen by a healthier glow, brighter eyes and improved skin tone. Regular treatments will lead to a younger fresher complexion by dispersing and eliminating toxins via the lymphatic system. 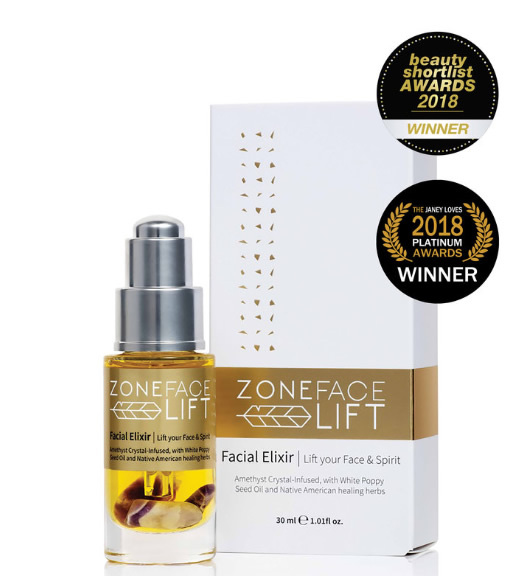 I use Zone Face Lift Amethyst Crystal-Infused Elixir with 100% natural ingredients, hydrates and tightens your skin and has been shown to significantly reduce fine lines and wrinkles. Click here to see some testimonials from my Facial Reflexology clients! 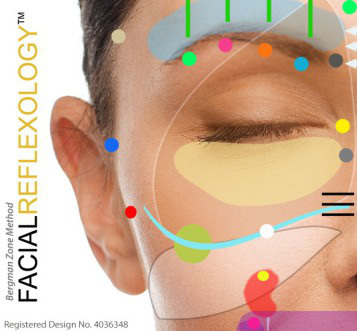 Facial Reflexology, in Poole, can also be combined with a foot reflexology treatment giving you the ultimate top to toe experience.